Fort Lauderdale Real Estate has some beautiful waterfront properties and Burton Point is one of the original Fort Lauderdale condominium buildings located in the beautiful Las Olas Blvd area called Las Olas Isles. Read more about Burton Point in Fort Lauderdale, Florida. Burton Point is centrally located between the Fort Lauderdale beach district and Las Olas Blvd restaurants, shops and night life in the beautiful Las Olas Isles. 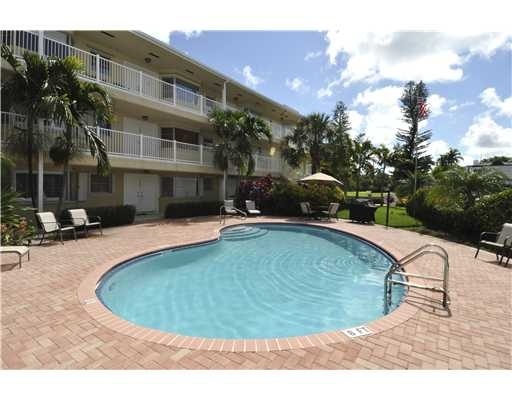 Burton Point was built in 1963 and is a quaint 3 story building with a gorgeous pool and barbeque area. Burton Point has that traditional Florida living that so many look for in Fort Lauderale Waterfront Condos. Burton Point condo owners as well as their guests enjoy a great common boat dock area allowing your guests to arrive by boat. The pool and outdoor area is great for entertaining and enjoying the beautiful weather that Fort Lauderdale Real Estate has to offer. At Eric Miller and Associates, "We're here to help" with your next Burton Point purchase or sale. Contact us directly at (954) 383-8170.